This week, Derek and Andy W. discuss recent titles that span the genre spectrum. First they look at the new release from Dark Horse, the English-language release of Claudio Nizzi and Joe Kubert’s Tex the Lonesome Rider. Based on the famous American Western character created in 1948 by Giovanni Luigi Bonelli, this book was originally released in Italian and is now being published in the states in a beautiful hardbound volume. 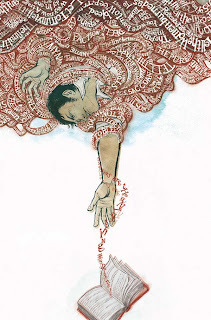 (Dark Horse had released the first part of this story in 2005 as Four Killers, Vol. 1: The Bartlett Brothers, and that same year SAF Comics published the entire story in English, but those books are long out of print.) The guys approach Nizzi’s treatment of Tex Willer as a classic Western, but one that isn’t afraid to delve into the darker, violent side of the genre. In fact, Andy argues that much of the story, underscored by Kubert’s art, owes a debt to noir narrative, and that one could arguably read this as Western noir. Although Tex is a famous figure in Italian comics, he is much less known in the United States, and indeed, both Derek and Andy admit that before this new release, they didn’t know much of anything about Tex and his history. But Tex the Lonesome Rider is the prefect introduction to the character, meticulously rendered by the legendary Kubert, and the guys hope that there will be more translated Tex stories to come. Next, they review the new collection from Peter Bagge, Sweatshop (Fantagraphics). Although this book was just released, Sweatshop isn’t a new comic. It was first serialized by DC Comics during the last half of 2003, but it was canceled after only six issues. Now, the short-lived series is finally collected in a trade paperback, and if you’re not familiar with the work of Peter Bagge, then this would be the prefect place to start. Reminiscent of Bagge’s classic Hate, the story revolves around a self-centered and crotchety newspaper cartoonist and the young people he has working for him on the strip. Illustrated not only by Bagge, but also by Stephen DeStafano, Johnny Ryan, Stephanie Gladden, and Bill Wray, Sweatshop is a humorous, and at times sarcastically biting, look at the comics industry and the personalities that strut across its stage. Finally, Andy and Derek leap into Ed Brubaker and Sean Phillips’s Criminal Special Edition (Image), a one-shot oversized comic that takes us back into the creators’ seminal world of noir. Released to help draw attention to the new editions of Criminal published through Image — the original series came out through Marvel’s Icon imprint between 2006 and 2011 — this special edition is also an homage to the kind of sword-and-sorcery magazine-sized comics that appeared in the 1970s. 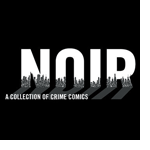 The result is not only a curious pairing of genres, but more significantly, a narratively sophisticated return to a noir world that would eventually lead to such titles as Fatale and The Fade Out. If you’re a fan of crime comics, Criminal Special Edition is essential reading. 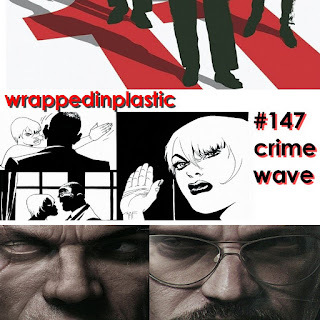 On this one I talk crime comics, Ocean’s 11-13 and Kane & Lynch. The Wednesday Warriors experience their first power outage while recording. Mayhem ensues. Trivia Contest: Last Mortal #1 signed by Filip Sablik and John Mahoney. You asked the questions and we have the answers. In this weeks exciting episode the Warriors debate a variety of topics sent to us by listeners. They answer questions such as who would win between Superman/Sentry? Who is the hottest superhero? Who are the essential X-Men? All these questions and more are answered in the great christmas wednesday warrior debate. The guys check out the latest offering from Marvels ever expanding all ages titles, this one being Lockjaw and the Pet Avengers Unleashed! Then TRAVIS SLAPS JOHN IN THE FACE! No really, check it out, it has a pretty sweet sound to it. The shows gets slightly raunchier to countract the family friendly comic they are reveiwing. The Weiners then talk about Pride of Baghdad, 100 Bullets, Unwritten, Criminal Sinners, Star Trek TNG, Bozo The Clown, Iron West, Jonah Hex, and Andy Griffith. And then some listener mail about how unprofessional some of the guests of the show are! Backroom Comics Podcast Episode 46 – One For the Underdogs. Kevin and Pete discuss some of their favorite underrated characters, Greg and Kevin talk about the Showcase line of books from DC, and Pete and Greg share what they have been reading lately.